Refresh your day by shaking it up! Smart Styx is a natural energy drink mix that increases your energy, plus wakes your brain cells for intense focus, improved memory and concentration. Powerful antioxidants purify your system, accelerating fat loss and enhancing calorie burn. 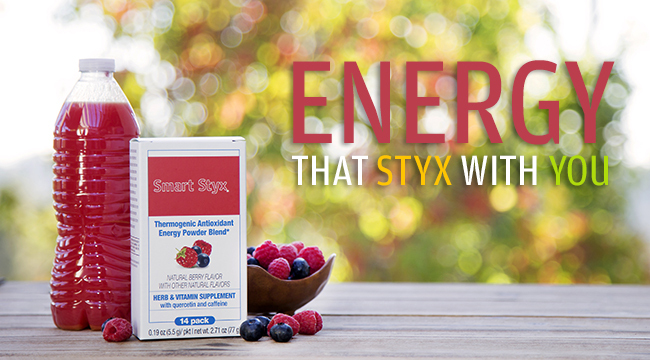 Smart Styx is a proprietary blend of Quercetin, Green Tea (Natural Caffeine), Ginkgo Biloba, and Ginseng to help maximize your energy - energy that styx with you!